I often wonder if this product hadn’t entered my life what would my skin be like. At first when I read about Serum-in-oil I was thinking what the heck? Like seriously what the hell is serum in oil, is it new marketing gimmick or is it really something? Little did I know when I bought it, it sure is something. 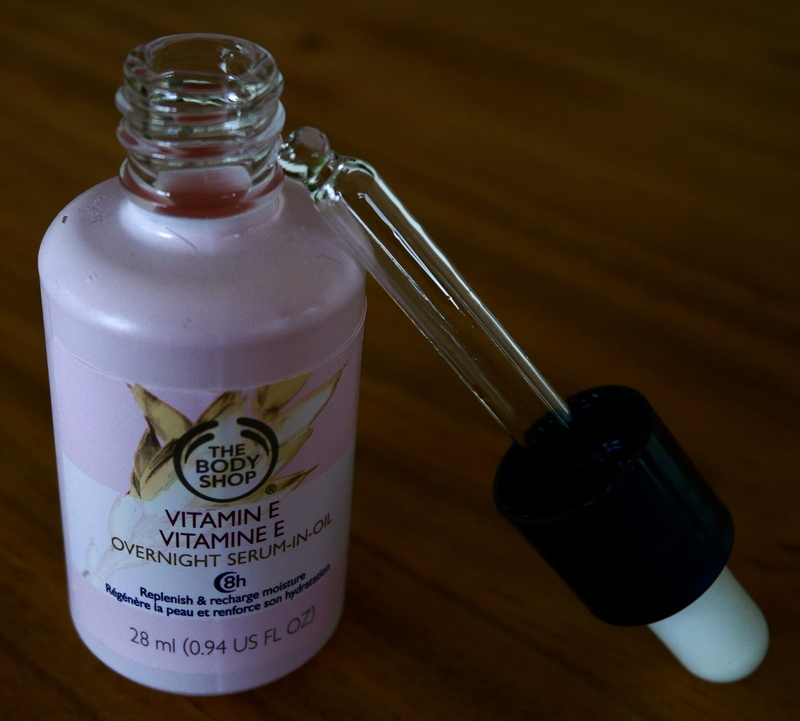 The Body Shop claims it has highest concentration in wheatgerm oil, non-greasy and fast absorbing. I would have to agree. 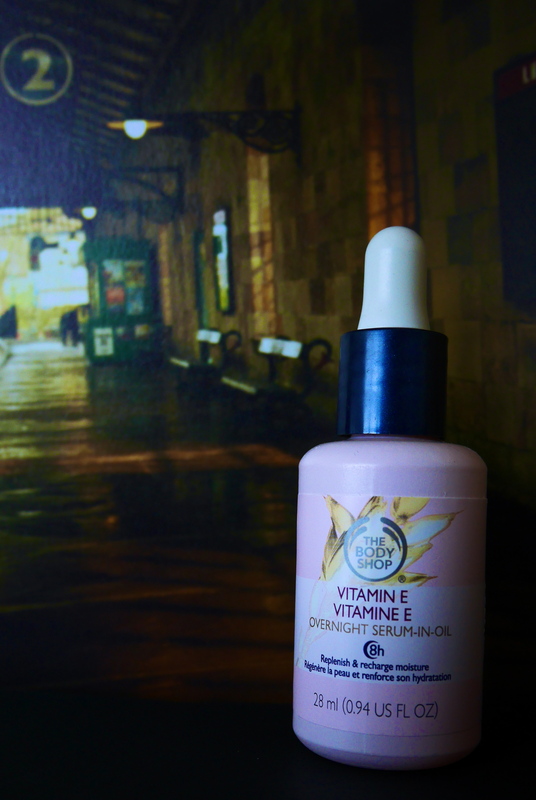 I use it as a part of my night time skincare regime, on cleansed and toned skin. I squirt a drop on my forehead, each cheek and chin straight from pipette. The oil…serum (whatever) soaks in my skin immediately without leaving any greasy residue. The only time I’ve had a greasy residue is when I got tad carried away and applied more than needed. In the morning my skin looks plump, fresh, calm and well rested. Occasionally when I breakout near my jaw or chin, I apply this product over my breakout and it instantly calms and nourishes my angry spots and its well on its way to recovery. Having witnessed the benefits of this product, I have used it on other parts of my body too. Such as when I may have a rash or excessive dryness on back of my hand or experiencing dry feet. It doesn’t bother me using so liberally everywhere because a little goes long way and it’s pretty cheap/reasonably priced. Great stuff, I like it too 🙂 Here’s my post on it.